Are you looking for the opportunity to train and work as a talented hair stylist? This could be you. Read Chloe's story. Chloe started her hairdressing apprenticeship straight from school. Chloe graduated with us and achieved a NVQ level 2 and NVQ Level 3 Qualification. She completed her ABC and Trilogy cutting degree with Vidal Sassoon. Chloe’s colouring skill have all been gained attending training with our exclusive to Bexley brand AVEDA, including Advance Balayage techniques, Chloe’s level is now Talented Stylist. Hard work Pays off, Chloe has gone from strength to strength and is promoted to Talented Stylist. All her qualities are a wonderful asset to her and her thrilled and happy guest clients. We all at The Pamper Suite are very proud of her and now find the opportunity to provide an apprenticeship for the next dedicated, hardworking and aspirational apprentice. 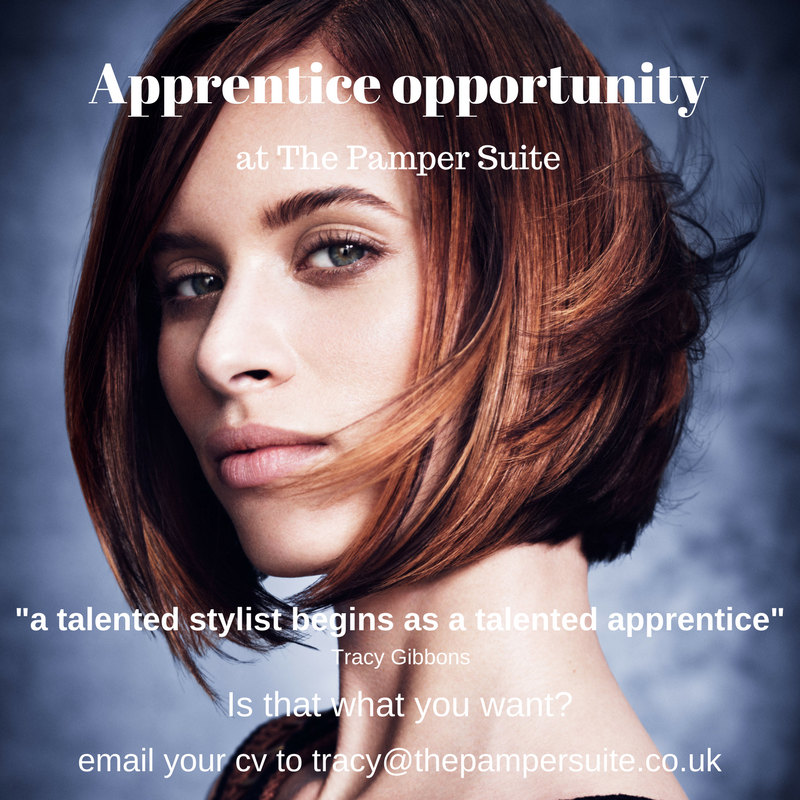 Send your CV to tracy@thepampersuite.co.uk Add a note to tell us why you could be the next apprentice at The Pamper Suite.